She was trying very hard to push out the lamb, but not much was happening. I waited a while, taking pictures of baby lamb feet, but still no progress. I decided I might have to help and approached her. She got up and ran off with little feet dangling out of her. I went to get Jess and Henry, and then Jess and I pursued her for a while but she always kept out of reach …. this obviously wasn’t going to work. So eventually we made a funnel with hurdles into the shelter. We chased her in, Jess and Henry blocked her in with a hurdle and I pulled (very hard) to get little Beeblebrox out. 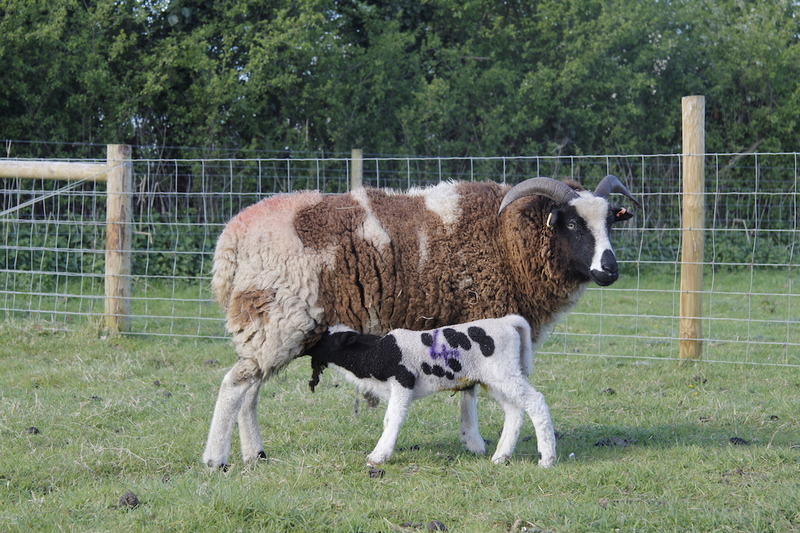 And the reason she hadn’t been able to get him out ….. he had massive horns which must have caused him to get stuck halfway through being born. 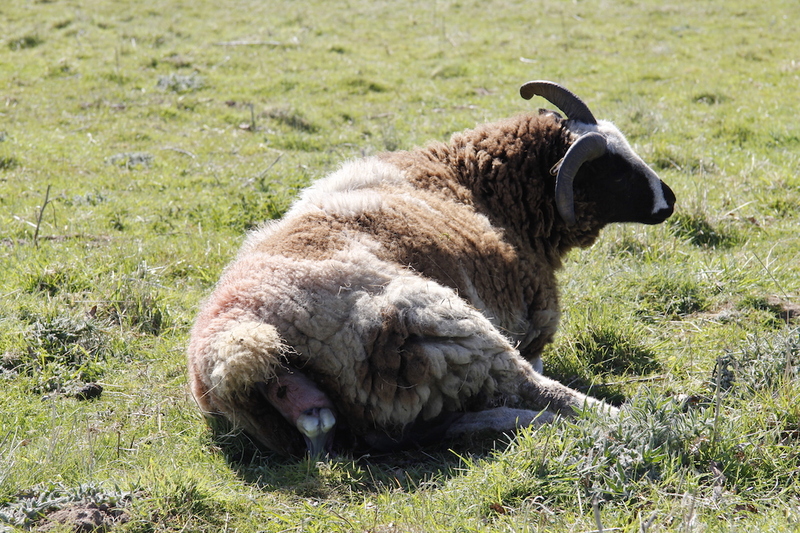 About 20 minutes later she had another ram lamb with a little bit of help and then collapsed. 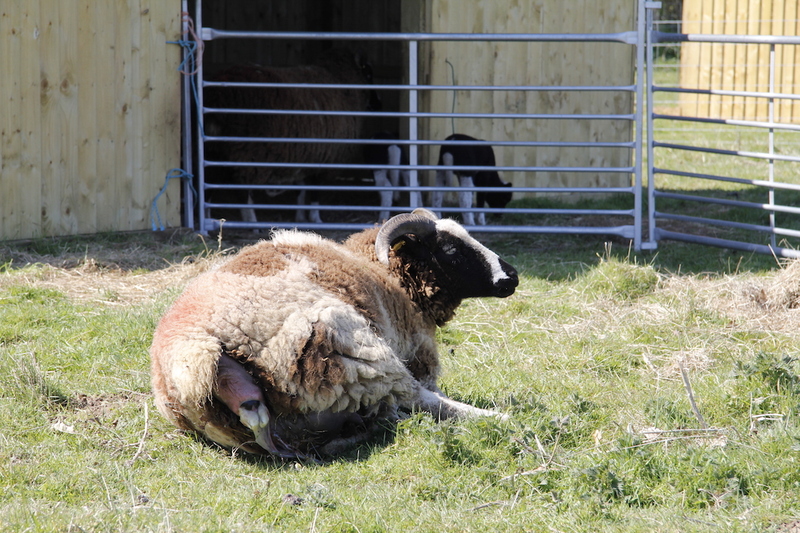 I gave her some of my magic ewe medicine (I am glad I bought it now) and it perked her up and she got to her feet and started washing Beelzebub (it is the horn thing!). what kind of lambs do you raise? Nice. My inlaw’s raise Katahdins. They just had 12 lambs born last month. 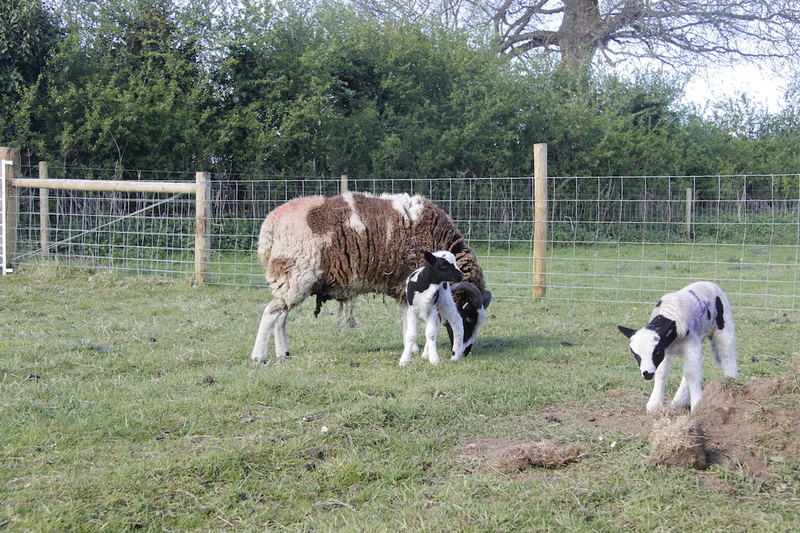 Lovely – we only had 8 lambs, but that was enough first time round. Hope the 12 lambs are all healthy! God, they get so big so fast! So beautiful. 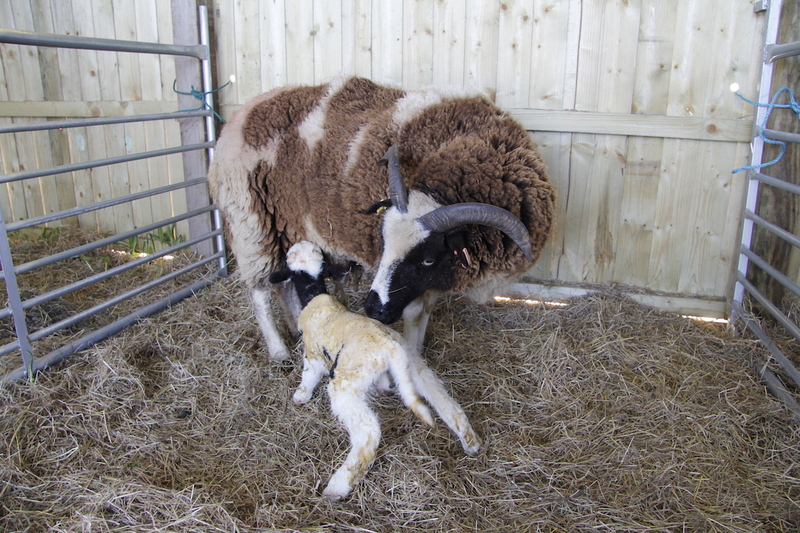 And more congratulations to your lamb midwifery skills. Bravo!